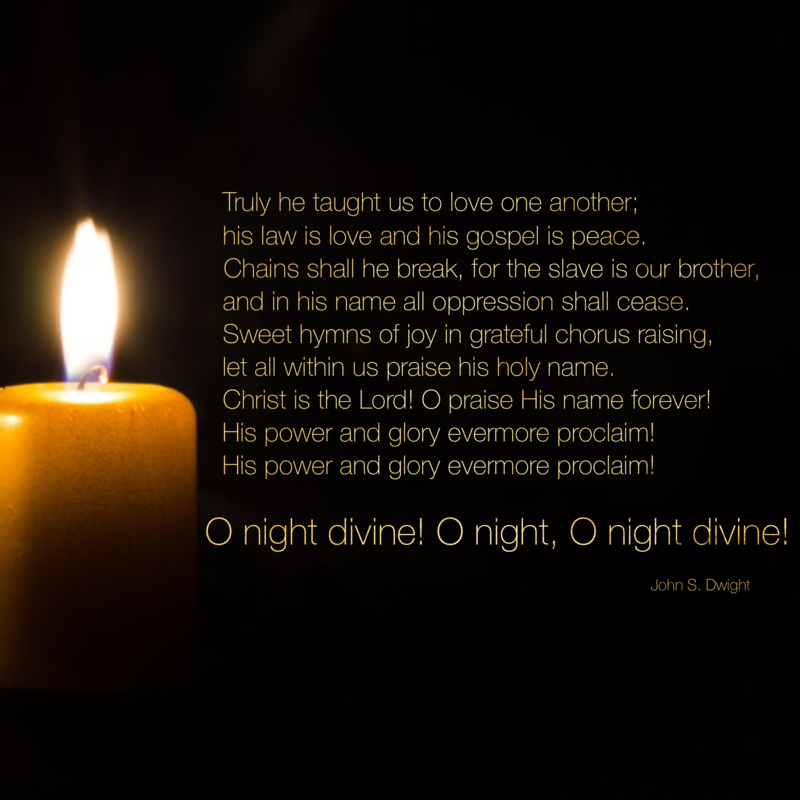 Is his law of love and gospel of peace for only one night? Are we all equal on just one night? Can every night be a holy night? There is something wrong in this picture. 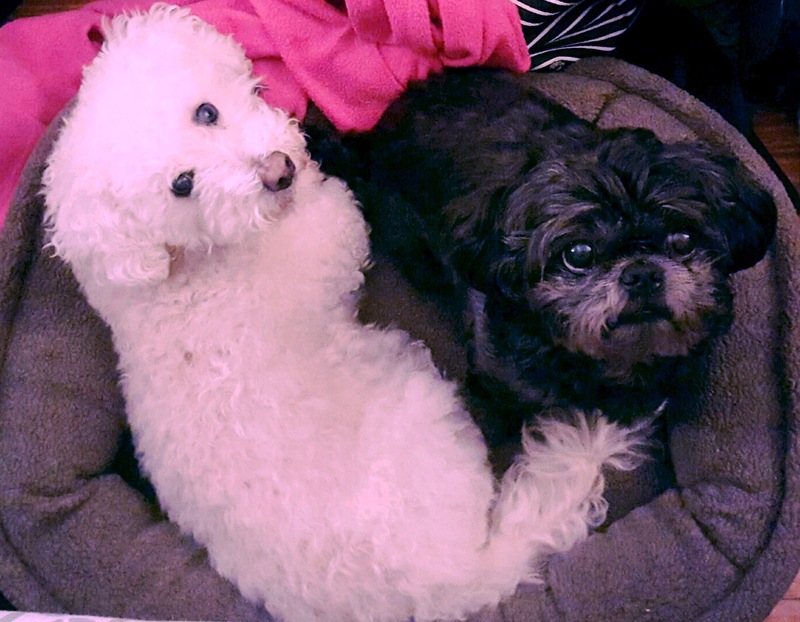 The Bichon is my 12 year old, Louis, and the Shih Tzu is my parent’s 4 year old, Poohgee. We trade dog-sitting so Jylian and Jocelynn have been babysitting Poohgee while my parents were on vacation. The problem with this picture is the bed – it’s Poohgee’s. Louis has a bed – also memory foam, located right beside (actually touching) Poohgee’s, in the same spot its been for years. Poohgee doesn’t want to trade beds, but as long as she’s staying at Louis’ house, she’s either trading or sharing her bed, like it or not. If she had the vocabulary, I’m pretty sure that what she’d be saying in this picture would be something like, “My parents have abandoned me. The people in this house put dogfood, in a bowl, on the floor; never once boiling me a boneless chicken breast and hand-feeding me as is my preference. And there is a blind, half-deaf old man who insists on curling up in MY bed every night. What have I done to deserve this? This isn’t fair! !” And she’s right, it’s not really fair. She didn’t do anything different, but life is sure doing her different. It happens to all of us at some time or another. Life just is not fair. For some of us it’s minor things, and we can “be the bigger person” and just move past it. But for some people, some times, and in some places – its a level of injustice that goes so far beyond mere inconvenience. Not one of us had a single ounce of control when it came to our gender, our race, our nationality, our genetics, or our economic starting point. But, even in 2016, those things do in fact determine the level of opportunity that will be accessible to us. Of course, we are all responsible for our own choices, but not everyone has the same options from which to select in making those choices. So what do we do about the injustice that we see and experience? Should we do what Peter did in the garden? When the soldiers arrived to arrest Jesus on the basis of lies, he whipped out his concealed carry and whacked the ear right off one of their heads. This wasn’t going to happen without a fight if he was around. Or is it better to take the attitude that I have about the dog bed issue? As long as my ankle isn’t being bitten, or nothing in my house is being torn up, I’m ignoring it. I’ve got my own, bigger problems to deal with, thank you very much. Well, scripture tells us that Jesus wasn’t too thrilled with Peter’s action. He told Peter there was to be no more of that, and to put the sword away, and He immediately healed the guy’s ear. So, violence isn’t the solution. But neither can I go through life wearing blinders to everything but my needs. There is a simple, but powerful verse in Micah 6:8 “He has shown you, O mortal, what is good. And what does the LORD require of you? To act justly and to love mercy and to walk humbly with your God.” Some things in scripture are a little ambiguous, but then there are other passages like this, which is basically a directive with instructions. Act justly. Its hard to come up with a clearer way to say this, and He then gives us the context in which we are to be taking these just actions – that of mercy and humility. Those three things don’t easily or effortlessly accompany each other. But if the one who experienced the injustice of rejection, betrayal, torture, and death says it is the pattern to follow, well He certainly knows better than I. I can’t even fix the dog bed issue.